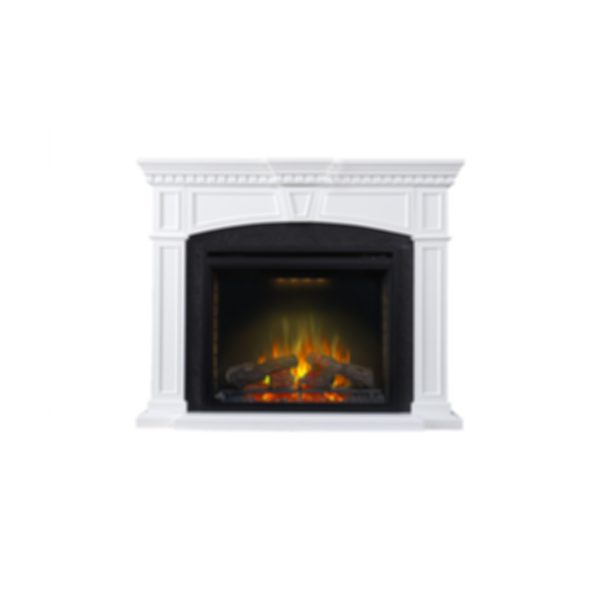 Complete the Ascent™ 33 electric fireplace with the Taylor Mantle Package. Napoleon® Fireplaces is proud to be committed to your total home comfort. Time after time, Napoleon® has led the way with new and innovative, patented technology. We are proud to say that our products continuously surpass industry standards and our inspiration is you! More than anything we want you to feel confident in choosing Napoleon® for your home. Our products are designed to provide that confidence and ensure that every Napoleon® Product is beyond compare. It all began in 1976 when a small steel fabrication business launched by Wolfgang Schroeter started manufacturing steel railings in Barrie, Ontario, Canada. By 1981, the name "Napoleon" was born and, with it, the first single glass door (a first in the industry) using Pyroceram high temperature ceramic glass and a cast iron frame. This was the first of many milestones for Wolf Steel and over the next few years, the demand for Napoleon's wood stoves grew beyond Ontario's borders to the rest of Canada and the United States. Napoleon works with its customers designing and implementing features sought after by discriminating consumers around the globe. Time after time Wolf Steel has led the way with new and innovative patented technology: exclusive PHAZER® logs, luxurious Napoleon Gas Grills and some of North America's most advanced state-of-the-art fireplace technology. Innovative engineering and design, advanced manufacturing techniques, dedicated customer service, outstanding product quality, and superior warranties distinguish Napoleon® from its competitors. Napoleon® is an ISO9001 - 2008 registered company and operates with 1,200,000 square feet of manufacturing space and over 1000 employees. We are North America's largest privately owned manufacturer of quality wood and gas fireplaces (inserts and stoves), gourmet gas and charcoal grills, outdoor living products and heating & cooling products. The only gas furnaces made in Canada. Napoleon's commitment to producing quality products combined with honest, reliable service has proven to be a successful framework to ensuring the continued rapid growth of the company. We are proud to be recognized as one of Canada's Best Managed Companies and are dedicated to providing quality, home comfort products for over 38 years and counting.